Puducherry continued to be lashed by heavy rains with government authorities declaring holiday for all schools in the region today. 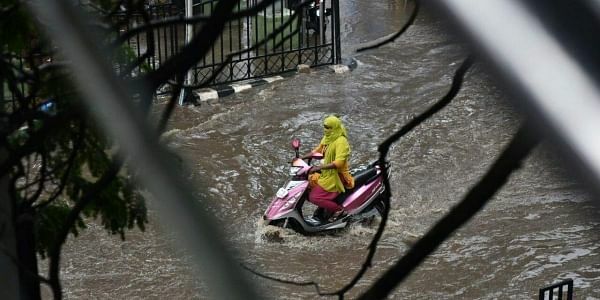 PUDUCHERRY: Puducherry continued to be lashed by heavy rains with government authorities declaring holiday for all schools in the region today. The Union Territory recorded 10.2 cm rainfall ending 8.30 AM, an official source told PTI. There was a delay in declaration of holiday for schools a source in the Directorate of Education said adding revenue authorities made the announcement first virtually taking the Education department by surprise. Students turned up at the institutions as usual and came to know of the holiday only upon arrival, parents said. It rained cats and dogs past midnight adding to the woes of the people living in low lying areas. Meanwhile, Lt Governor Kiran Bedi embarked upon a visit to rain-ravaged areas in and around Puducherry today.